From Tuesday, 21st of November until Wednesday, 22nd of November, the ENABLE-S3 consortium met for their 3rd General Assembly since project start. This time, the GA was hosted by partner University of Las Palmas de Gran Canaria at the Museo Elder de la Ciencia y Technología in the centre of Las Palmas. The museum provided various meeting rooms and open spaces for presentations, discussions and workshops while remaining open to regular visitors. This venue, exhibiting the great inventions and achievements by mankind throughout history, proved to be an excellent location to fuel the innovative spirit of the project. On Day 1, the technical and the steering board met for a morning face to face meeting to discuss various topics, such as how to implement the 1st review recommendations, the meeting location for the 2nd year review and the final ENABLE-S3 event after the 3rd project year. After lunch, the GA started. The technical project manager Andrea Leitner presented the current project status, followed by various status presentations in regard to baseline measurements, technical requirements and latest developments by sub work package leaders. At the end of the day, each Use Case leader presented the current UC needs and challenges. In the evening, the host ULPGC organised a guided city tour through the historic town of Las Palmas, with a visit to the house in which Christopher Columbus had resided. The ENABLE-S3 delegation then had dinner in one of the splendid state rooms at the Gabinete Literario that was built in 1840 as a theatre and now is used as a cultural centre. On Day 2 at the ENABLE-S3 General Assembly, the partners focused on work package sessions and Use Case workshops in the morning. In the afternoon, they met in “Safari Sessions” and discussed various, cross-domain topics in 6 parallel 1-hour-sessions, with a rotating audience – which explains the title of these sessions. The goal of the Safari Sessions was to inform, collect, discuss and harmonize the various ENABLE-S3 opportunities and activities with all GA participants. The following topics were covered: Standardization and interoperability, environments for simulation-based virtual validation, statistical methods for verification using scenarios, model management, co-simulation of different tools using the OSI interface and FMI as well as functional steps in the scenario mining process. These sessions turned out to be a very fruitful method and was well received by the delegates. After a final wrap-up, the 3rd GA ended. 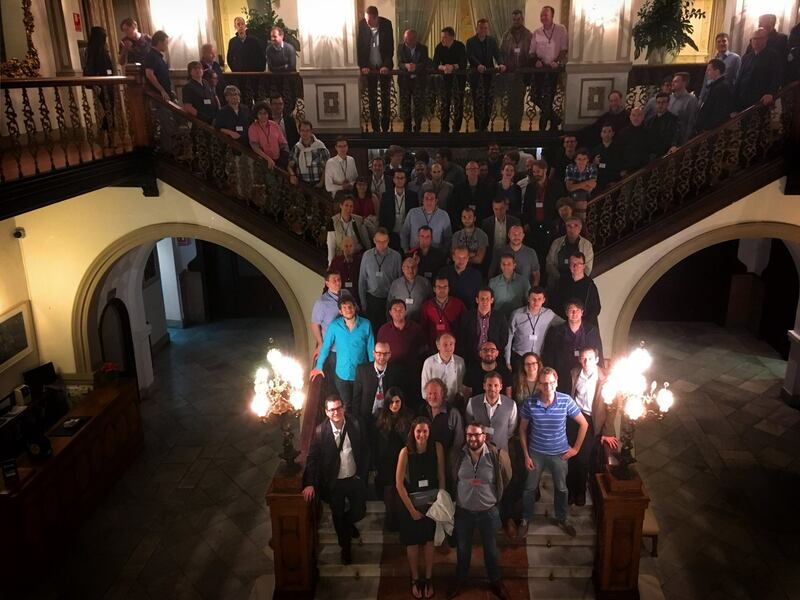 Many of the delegates met for a last get-together dinner and some drinks to enjoy the warm temperatures in Las Palmas, and prolong the productive working atmosphere of the event.